When I think of success, I often think of it as a direct path to a goal. When I don't achieve that direct path I often become discouraged. Saw something that put success into a better, more realistic perspective. Isn't this true in almost every goal of life? In my goal of becoming healthy, my goal line is MUCH closer to the right side image. Otherwise I would have achieved my goal weight way before this. 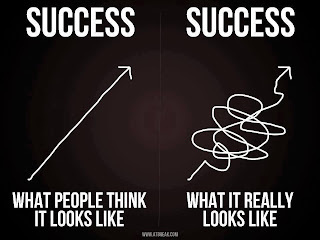 This simple graph encourages me to keep going. Yes, some days it does feel like I am going around in circles. Other days feel like I am on a yo-yo. There are even days when I feel like I am back at the beginning. What about in my goal to walk with the LORD? There are times when I am on the straight path, then there are times when I am floundering on a loop off to the side of the straight path. My goal is still there, I just get distracted. I am reading a book right now, 50 Fitness Tip You Wish You Knew. While there are parts of this book I do not agree with, there is one point I have read, thus far, that has really struck home. Take things one step at a time. Instead of saying I am going to do this, this, this, AND this, to which you soon feel overwhelmed and often give up, make small goals and then once they become ingrained add to them. Yes it may take longer, but in the long run you will be more successful because you will have continued toward your goal rather than giving up. While this book speaks of health & fitness, I am seeing applications in other areas of my life as well. Currently, I am working on revamping some of my goals. I think it is time to add a new step or 2. How about you? 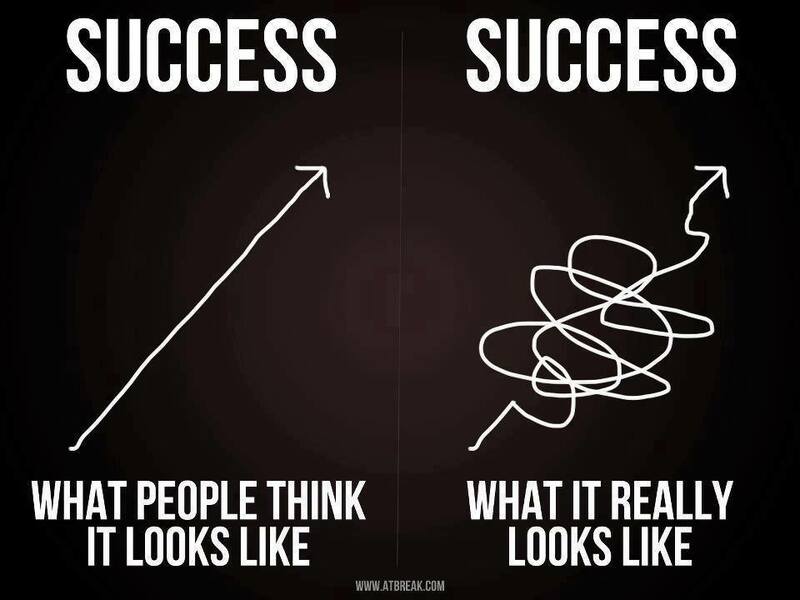 What does the path to your goals look like? Definitely the path on the right!